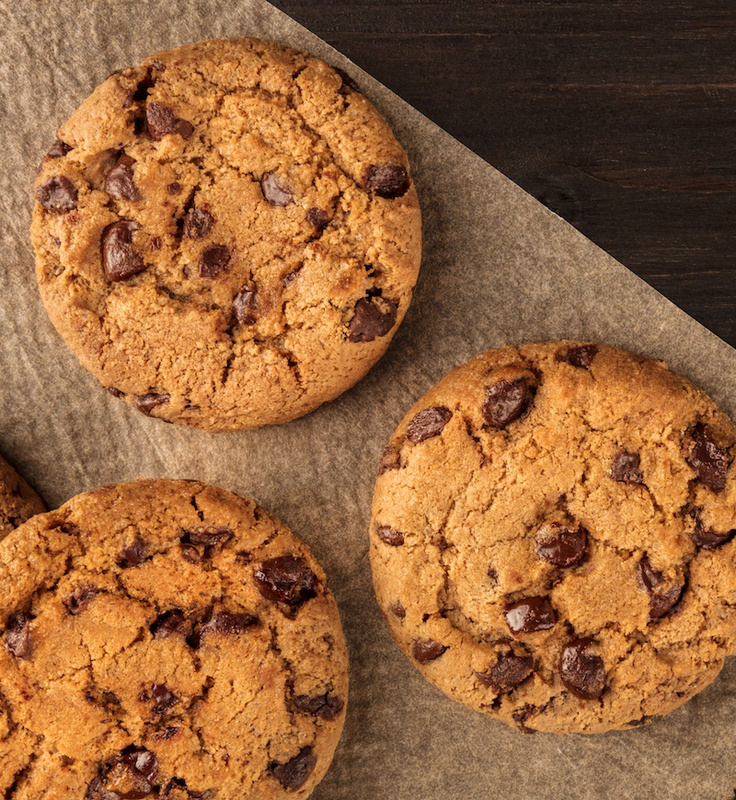 Chocolate chip cookies, how many times have you heard of this recipe? In fact, it is an original American recipe that is handed down from generation to generation. It is so quick and easy to make, that it’s become a culinary symbol of the United States. 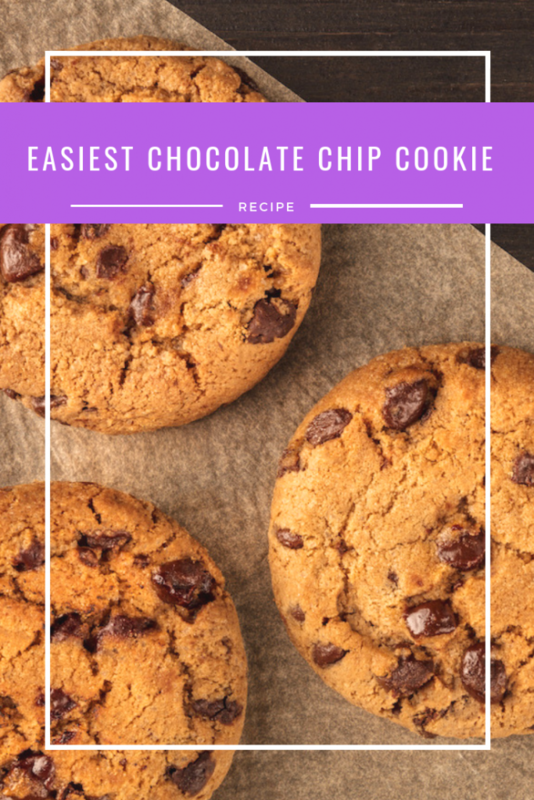 The recipe is simple and fast and even if you can buy shop bought mixes to make these cookies by only adding oil and eggs, I recommend you make them from scratch, both for your pockets and especially for your health. The aim is to prepare crunchy biscuits and this is the reason why pure sodium bicarbonate is used. The dough of these chocolate cookies can be eaten raw, served alone as a dessert or with ice cream, caramel, melted chocolate and so on. 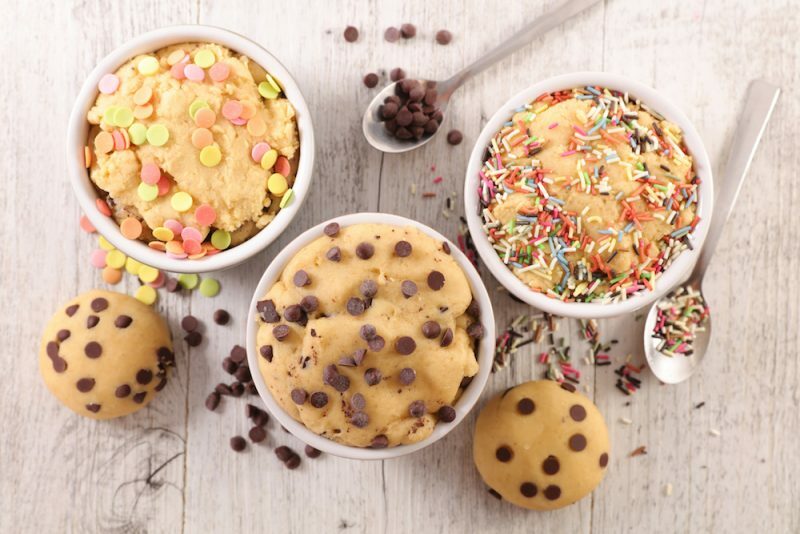 The recipe for the so-called cookie dough is under the recipe of the classic chocolate cookies, so you can choose which one to prepare. For this reason, the dough can be prepared well in advance, wrapped in foil and placed in the refrigerator and then cooked at a later time. The dough can be kept in the fridge for 2 days. 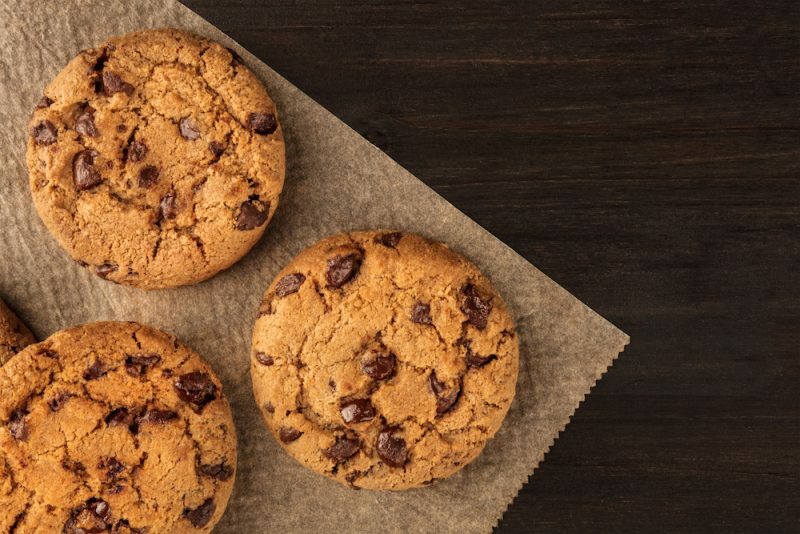 The only drawback of these cookies is that they only last a maximum of 3 days if placed inside an airtight container otherwise they become too soft and lose flavor. You can use a stand mixer for the dough such as KitchenAid or just your hands, by mixing all the ingredients with a spatula. Beat the butter with the sugar, the brown sugar and the vanilla extract in another bowl until the mixture is creamy. Place on a low pan (not greased or buttered) and bake at 190°C/356°F for 9-11 minutes. 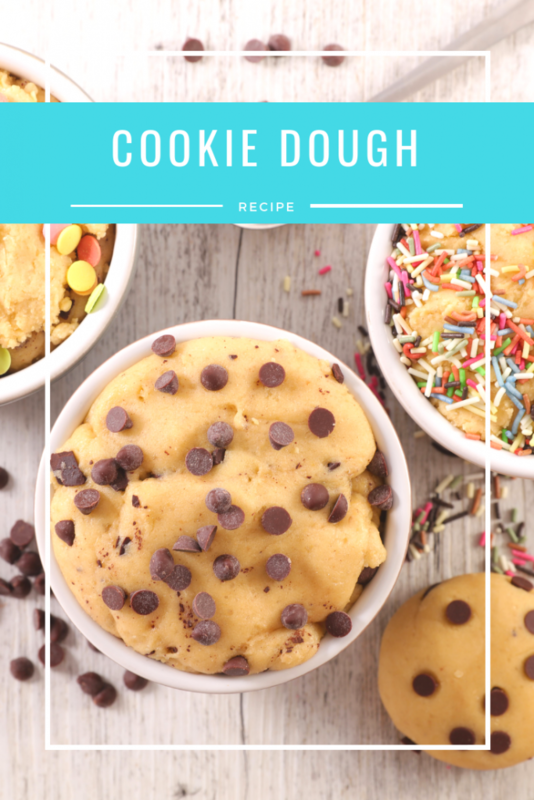 If you decide to try to prepare the cookie dough, aka the chocolate cookie dough to eat raw, you can find the recipe below. If you are worried about any diseases resulting from raw egg intake, I have the perfect solution: eliminate eggs and slightly increase the amount of butter. The purpose is to create a soft dough so it is necessary not to overdo the flour. Once ready, the dough should be kept in the fridge, in a small bowl or after giving it the shape of balls, and can be consumed within a maximum of 2 days. Do you like this recipe? Pin it! Remember you can SUBSCRIBE to receive my latest recipe newsletters or FOLLOW ME on INSTAGRAM, TWITTER, and PINTEREST for even more delicious food.